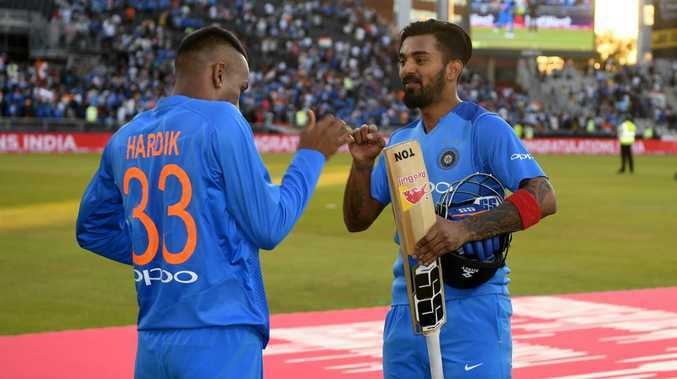 KL RAHUL and Hardik Pandya have been ordered home to face the music by the Board of Control for Cricket in India, after the duo's sexist and inappropriate comments about women. The pair have been heavily criticised in India and on social media for remarks that have been widely condemned as sexist and inappropriate - the latter detailed how he had bragged to his parents about losing his virginity. The BCCI said Rahul and Pandya would not feature in "any form of cricket" and must return to India to answer charges of misconduct and indiscipline. The pair will miss the entire three-match ODI series in Australia, set to start on Saturday at the SCG, followed by the tour of New Zealand, with the BCCI set to name replacements in due course. A statement on the BCCI's official website read: "The CoA (Committee of Administrators), in accordance with the BCCI, has decided to suspend Hardik Pandya and KL Rahul from playing any form of cricket after their comments on a TV show. "The duo will now return to India and an inquiry and proceedings will be made against them for misconduct and indiscipline that have been initiated under Rule 41 of the BCCI constitution. "The duo is now called upon to provide an explanation as to why they should not be proceeded against for misconduct and indiscipline under Rule 41 of the BCCI constitution within a period of seven days." Pandya has since expressed remorse, writing on social media: "I would like to apologise to everyone concerned who I may have hurt in any way. Ahead of Saturday's first ODI against Australia in Sydney, India captain Virat Kohli said the comments made by the Rahul and Pandya are not supported by their teammates. "From the Indian cricket team point of view, any inappropriate comments that are made in that scenario are something that we definitely don't support," Kohli told reporters. "The two concerned players felt what has gone wrong and they have understood the magnitude. It has to hit anyone hard, they will definitely understand the things that have not gone right. "These are purely individual opinions ... we definitely, as the Indian cricket team, do not support views like that and that has been communicated." Kohli's side sealed their first Test series victory in Australia this week when the fourth match ended in a draw. "Definitely not going to dampen anything that we've achieved," he said. "You have to adjust with the situation. We need to go out there and play cricket. All these external factors are not going to derail our motivation or the preparation for the World Cup."